A truly honest and extremely professional dentist. I always feel like a valued client. His office receptionist Julie isalways welcoming. I would recommend his services to anyone looking for reliable and competent individual care. A truly honest and extremely professional dentist. I always feel like a valued client. His office receptionist Julie is always welcoming. I would recommend his services to anyonelooking for reliable and competent individual care. Dr Bachstein and his staff were absolutely fantastic in every way . Professional and thorough. Well done. Excellent doctor and Julie is great they are very personable. Dr. Bachstein was great. Affable and professional. I really liked him! Receptionist was lovely. Dr. Bachstein and his staff were very welcoming and took good care of me. Hadn’t been to the dentist in a long time yet they made me feel comfortable and it was a very pleasant visit. Can’t recommend enough! Dr. Bachstein is a fairly new dentist for me but I can't say enough good things about him. Very professional, I never feel rushed and he takes time to explain procedures and treatments. I have already given his name to several people. Never had a better dental experience. This visit was for a mild (non-emergency) toothache, so I appreciated how quickly Dr. B. was able to fit me into his schedule. Dr. Bachstein and his terrific Dental Assistant/Office Manager/Minister of First Impressions & Positive Patient Engagement performed my procedure with zero pain, total attention to my ongoing comfort and provided a complete explanationof the procedure. 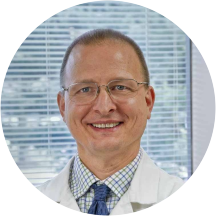 Dr. Bachstein is 1000% focused on patient satisfaction and comfort and genuinely enjoys explaining his recommendations and plans of action. He is conservative in his approaches to maintaining his patients' teeth in their mouths and our money in our wallets and purses. He has my highest recommendation! He is so patient, pleasant and thorough. I highly recommend Dr. Bachstein. He is very personable and thorough! Great bedside manner and makes you feel relaxed and explains everything in a simple yet concise manner. Best dentist in Delaware county! Great experience. Happy I found a new dentist so close to home! Always a good experience at this office for a "sissy" like me. I like the fact that Dr. B cleans my teeth so he can see everything going on there and explains what he sees. Dr. Bachstein is friendly and thorough. We have a few common interests and always talk through the whole cleaning. He's always happy to explain the reasoning behind his methods, observations, and professional opinions. Scheduling is easy, and hours are convenient. I highly recommend him. I drink a lot of soda and need a good dentist and my trumpet playing husband is super fussy about the shape of his teeth. I spent the last few years searching the area for a great dentist I didn't haveto go to the city for. This is it! Parking, cozy office, super cool dentist and really friendly staff....did I mention efficient? If I moved from the area, I would probably still come to this office for dental care, even if it required a flight. This is by far the best Dentist experience I've had. Dr. Bachstein is thorough, quick and educational regarding what he is doing. Always has a cheerful demeanor and is very welcoming. His Assistant is very professional and upbeat. They makeyou feel comfortable and get you in and out in a timely manner. I would highly recommend Dr. Bachstein. Dr.Bachstein is the consummate professional. He is very in gauging during your visit with him and makes you feel very comfortable. He is the best dentist. He goes the extra mile to make sure you’re comfortable and happy with the results. Dr. Bachstein and his assistant Julie are the BEST! They are both genuine people who really care about thier patients. Dr. Bachstein will even come in on the weekend if you have an emergency. I cannot say enough good things aboutthem. If you're looking for a dentist, you should absolutely give him a try; you will never look back! The Best! I look forward to going to the dentist for the first time in my life, such lovely people anda fantastic dentist! Phenomenal dentist! If you are looking for someone to do a superb job on your teeth, this is the dentist office you need to go to! It is always a pleasure to visit Dr. Bachstein and his staff. They are friendly, warm and welcoming! He is the best dentist I ever had in my life! And this is coming from someone who doesn't like going to the dentist at all! He is kind, knowledgeable, and always on time! Best dentist ever. You can trust his excellent advise when it comes to your teeth! There are 3 aspects of Dr. Bachstein's practice that are important to me, and may be important to you: 1st - He is distinctly patient-centered. He takes great care to ensure his patient's comfort, understanding and involvement in care planning.2nd - He is one of the most hands-on dentists I've ever met. He insists on knowing his patients personally and does cleaning himself, rather than delegating it to a hygienist. As a result, he communicates his standards of care and patient satisfaction directly. 3rd - He is sensitive to both the physical and financial discomfort that is often associated with dentistry. His prices are very reasonable and he is downright stingy about his patients' out-of-pocket expenses. He will suggest what he thinks is best for the patient, not his own bank account. He will not pad, or offhandedly include additional recommendations for services and approaches that are not medically indicated or justifiable. The peace of mind that comes from having him as my dentist comes from his personal, earnest and professional approach to total patient satisfaction. He has my highest recommendation and my loyalty. They are always super nice there. They make going to the dentist a breeze! Always professional and courteous his entire staff is number one in my book. Fabulous dentist! Only provides the service he feels that you truly need. Highly recommended. I originally met Dr. Bachstein in a social context. I later decided to try him as my dentist and I could not be more pleased with that choice. I have always appreciated his skill, attention to detail, concern for patient comfort,and professional yet friendly manner, all to the highest standards. I can't say enough wonderful things about Dr. Bachstein. I have always had such fear and anxiety when it came to visiting the dentist. Dr. Bachstein is so gentle and reassuring that I know I am getting the best care froma dentist that really cares. Also, Julie is such a pleasure to talk to in regards to making appointments, handling insurance and the best options for me. I will always be a patient of Dr. Bachstein no matter how far away I move.